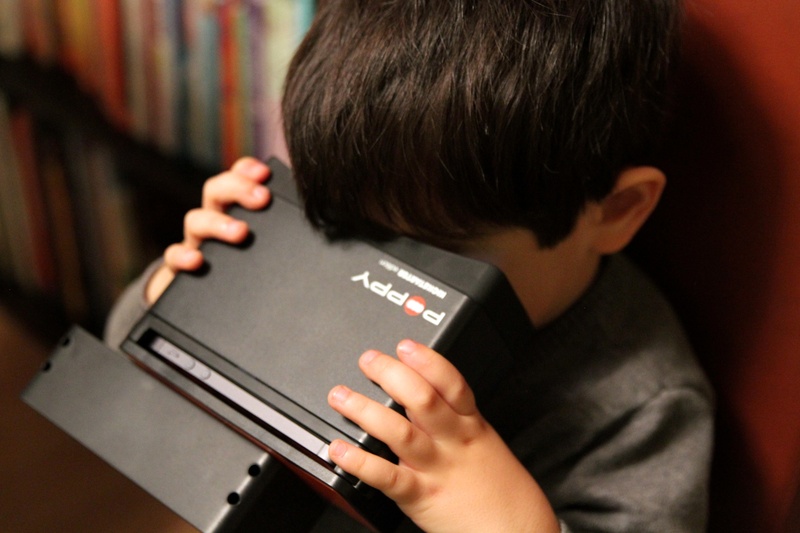 Shen is viewing a 3D movie through a Poppy device. My friend Ethan Lowry and his co-developer, Joe Heitzeberg, launched a Kickstarter project for the Poppy, a device that turns your iPhone into a 3D camera. 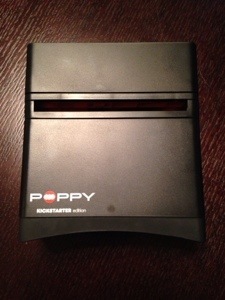 I backed the project at the $39 level and received my Poppy right after Christmas. 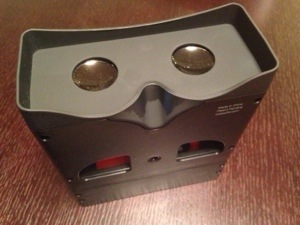 The concept is reminiscent of the View-Master, which we all have probably played with as children. (The initial fundraising goal for Poppy was $40,000, but the project ultimately raised more than $190,000.) 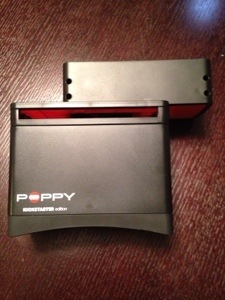 Poppy uses optics to create the 3D effect. 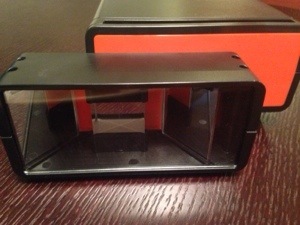 You slip your iPhone into the slot and flip the front optics box and start shooting photos or video using the Poppy app. It’s an ingenious and affordable device that I thought would offer us a fun way to collaborate and create. After Poppy started shipping, Ethan and Joe sent an email to all the Kickstarter backers inviting them to submit Poppy photos and videos for a chance to win another device. I had just purchased the Animation Studio kit, a box that transforms into a miniature set for a stop-motion movie, as a project for the kids. I thought it might be fun to use the Poppy to make a 3D stop-motion movie. Meilee and I had made a stop-motion movie in the past using Legos and the Stop Motion Studio iPhone app, but we certainly had not shot anything in 3D. Animation Studio is a fold-out box that serves as a miniature movie set. 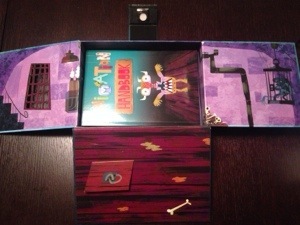 The kit includes different backgrounds, a how-to book, and cut-out characters and props. We decided to create a simple story using two Christmas ornaments and a gingerbread cookie. We shot it using the Poppy and then created the movie with the Stop Motion Studio app. Meilee proudly claims that she did the actual eating of the cookie. I ended up rendering two versions. In the original, the titles are hard to read and the pace is a little too fast. The second version has cleaner titles and a slightly slower pace. You can watch them as is to get a sense of the plot, but it’s best viewed through a Poppy, of course. On New Year’s Day, we went to the beach near our house and shot this short movie about beach combing.